What Happens to Federal Income Tax Debt if the Person Who Owes It Dies? 1. Who Is Responsible if My Husband Owes Back Taxes & Dies? 3. Do I Have to Pay My Dead Husband's Back Taxes? Are you wondering what happens to your own or a loved one’s tax debt after death? Unfortunately, any outstanding amount isn’t wiped clean from the record when a taxpayer passes away. The "Tax Man" looks to collect the amount owed from the estate, and the heirs and estate administrator will be left to deal with the situation. When a person dies, someone (an heir or the executor of the estate) may apply to the court requesting that they be allowed to settle the estate. Once an estate administrator has officially been appointed by the probate court, Letters Testamentary are issued to authorize him to act on behalf of the deceased. This document is required to handle tax and other matters regarding a person’s estate. The estate administrator is responsible for collecting all of the deceased’s assets (cash, bank accounts, investment accounts, personal property and titles to real estate). She will have to ensure that all creditors are paid and then distribute the remaining assets to the heirs. For example, if you are the estate administrator when your mother or father passes away, you can’t simply distribute their assets to the people named in the will right away. First, you need to pay off any debts your parent owed when they died. If your deceased parent owes taxes to the IRS, they will be included in the debts that must be paid. The estate administrator is also responsible for ensuring that all income tax returns for the deceased have been filed. This includes any outstanding returns that were not filed when the person was alive as well as a final income tax return for the year of death. Any income generated after the day of death is earned by the deceased’s estate. The estate is treated as a separate entity from the deceased person. If the estate earns money that is taxable, either from interest, dividends or rental income, these taxes are paid from the estate. 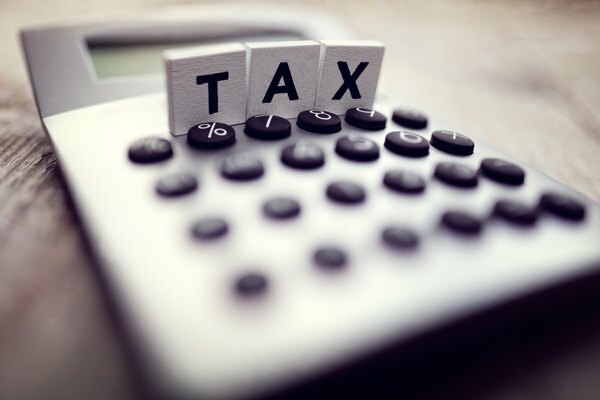 According to the IRS, an estate administrator must file an income tax return for an estate if its assets generate more than $600 in income per year. Are IRS Taxes Owed After Death? To find out whether the deceased filed all income tax returns before his death, the estate administrator will have to look through the deceased’s personal records. This can be a time-consuming process, especially if the records aren’t organized very well or aren’t readily available. The IRS can help the estate administrator to find out whether a deceased person’s income taxes are paid up to date or not. If you are unable to find the information you need by searching the deceased’s personal records, the IRS can provide you with copies of tax returns that have been filed previously. Before the IRS can release details to anyone about a deceased person, the agency needs confirmation that it is properly authorized to release the information. Specific procedures have been put in place to ensure that the IRS doesn’t release personal information to someone simply because they happen to request it. A copy of the death certificate. Taking this step means the IRS will note your loved one’s passing on the file and that a final income tax return should be filed. If someone starts using the same Social Security number, it would be a case of identity theft. A completed IRS Form 56 (Notice Concerning Fiduciary Relationship) along with a copy of your loved one’s will. A fiduciary (“someone who is entrusted”) is a person who acts for someone else. In this case, the fiduciary is the estate administrator or executor; they are acting for the deceased taxpayer with the IRS. To order copies of income tax returns for specific years, use Form 4506 (Request for Copy of Tax Return). The IRS charges a fee for each return you request. You can also request a Tax Return Transcript, which provides line entries from the income tax return for a particular year, at no cost. Use Form 4506-T (Request for Transcript of Tax Return) to ask the IRS for this information. A public records search may reveal that the IRS has already filed a Notice of Federal Tax Lien against the deceased’s home, vacation property, car or other property. The tax lien is official notice that the deceased owes back taxes. The outstanding amount will be deducted from the proceeds to pay the taxes when the property is sold. Example: A federal tax lien has been placed against the deceased taxpayer’s home in the amount of $10,000 and there is an existing mortgage of $150,000. The house sells for $260,000. The estate is left with $100,000 less closing fees and costs. If you want to find the amount of tax debt after death that is owed, you can find this information by contacting a local Taxpayer Assistance Center. The Center will be able to provide you with payoff information for a deceased taxpayer if you provide the necessary authorization, as described above. You may be wondering, “If my husband owes taxes, do they come after me when he dies?” This question is particularly important if you happen to live in one of the community property states: Alaska, Arizona, California, Idaho, Louisiana, Nevada, New Mexico, Texas, Washington and Wisconsin. In these states, all debt acquired during the marriage is considered to be “community property.” It belongs to both spouses equally. However, tax laws vary by state in deciding how to define community property. If you are a surviving spouse who lives in one of the states listed above, consult with an attorney and a tax specialist if there are outstanding income taxes involved. You’ll want to make sure you are following applicable laws to determine how to deal with the outstanding tax debt and eventually settle the estate. Legal Zoom: "The Probate Process: Four Simple Steps"
ConsumerFinance.gov: "If Someone Dies Owing a Debt, Does the Debt Go Away When they Die?" IRS.gov: "Deceased Persons – Getting Information from the IRS"
IRS.gov: "Deceased Taxpayers – Protecting the Deceased’s Identity from ID Theft"
Legal Zoom: "Texas Laws Surviving Spousal Debt"
IRS.gov : "Deceased Taxpayers – Filing the Estate Income Tax Return, Form 1041"
"If My Husband Owes Back Taxes, How Do I File?"